What a delightful program, once again. We sure do enjoy your once-a-month concerts. Looks like MORE AND MORE other folks do too – last night every seat was taken. With her fabulous trio of musicians, Karen steps up to the mic and out from behind the piano and returns to MA4 with her all-new show! From Manilow to Mercer, Cy Coleman to Hoagy Carmichael, she'll take you on a musical journey of familiar yet often forgotten songs, and introduce a couple of obscure and witty ditties along the way. 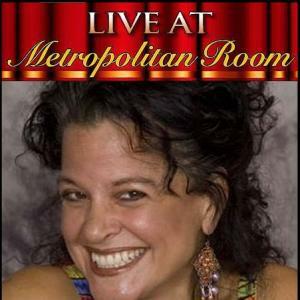 A night with Karen Giorgio and her fabulous band! I will have just returned from a week on Old Cape Cod all fresh and crisp and rarin' to go! Do I have a treat for you! Three amazing young rising stars will be joining me for a great, entertaining evening. They are all singers, actors, dancers and, between them, have performed professionally with the Old Globe, Lamb’s Players Theatre, Moonlight, ion Theatre and more. Please join us and enjoy these young talents. "KAREN AT THE KEYS" Westgate Hotel Plaza Bar 7-10. Bring your friends, requests, and get ready for an entertaining evening of music and surprise guest singers. NO COVER!! Great food and bar service. Come early for Happy Hour prices 'til 7:00 ... and a good spot to enjoy the music! "A bundle of vocal dynamite!" I can help make your party or function a memorable event with entertainment options from a complete cabaret show to combo dance music to piano and song stylings to background piano music. Please contact me for more information (858) 694-0153.